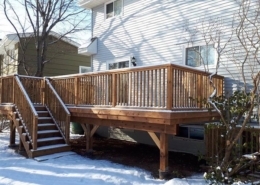 Spring cleaning will forever be easy for this homeowner with their new Trex composite deck, providing a fresh new look with little maintenance. 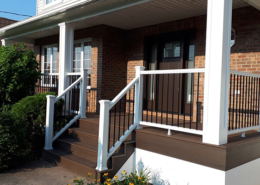 The deep wood grain pattern and deep tan brown of Trex Transcend Tree House boast bright with the white accents of the fascia board and white stair risers. 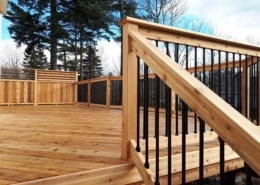 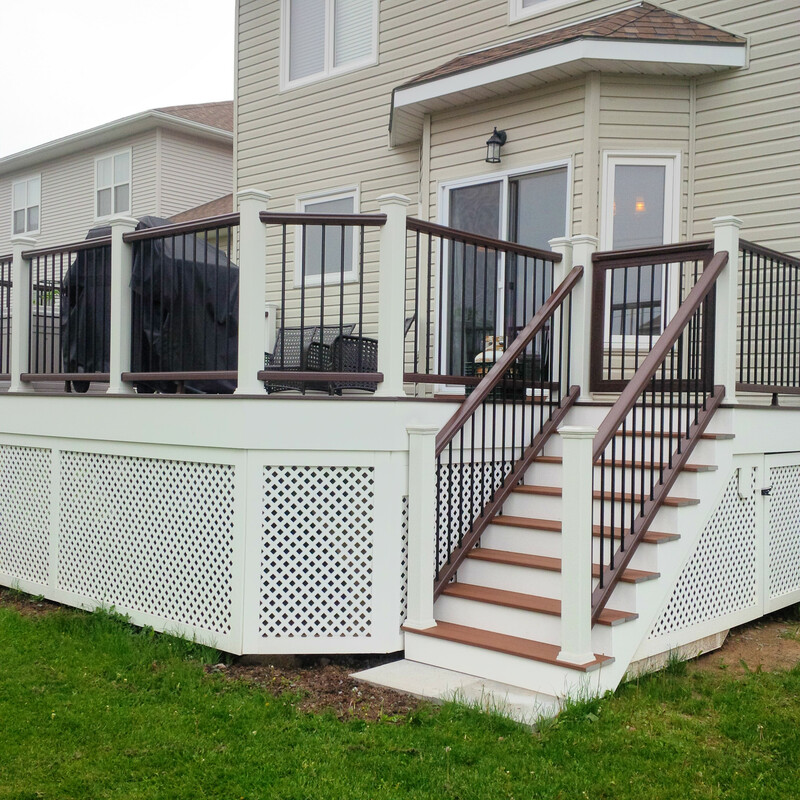 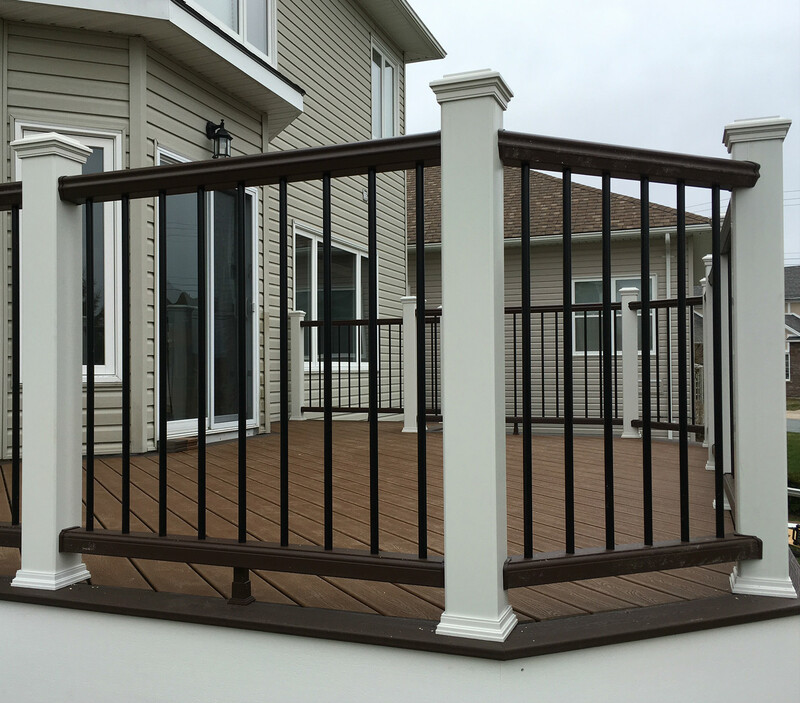 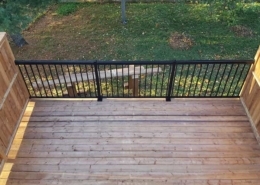 This deck is complemented by a beautiful Trex Transcend railing system with black round aluminum balusters and white posts, caps and skirting.